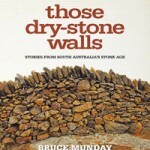 In the early days of European settlement, many migrants were artisans skilled in the craft of dry stone walling. 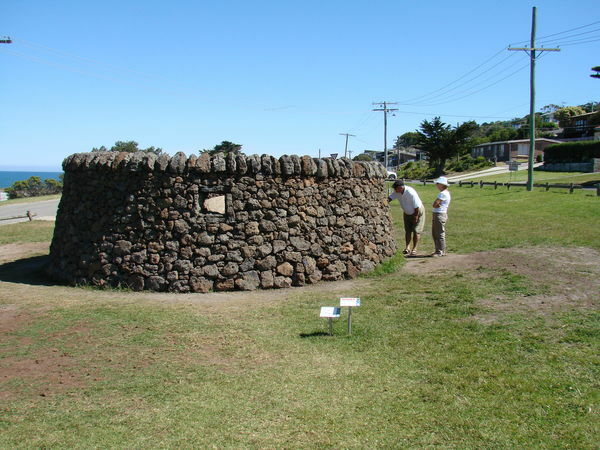 Although functional and built for agrarian purposes, their walls were often exquisite artworks in their own right and the first real ‘public art’ in the Australian landscape. 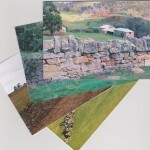 Almost a century and a half later, contemporary Australian dry stone wall artisans are following in their footsteps and leaving their artisan mark for future generations to enjoy. 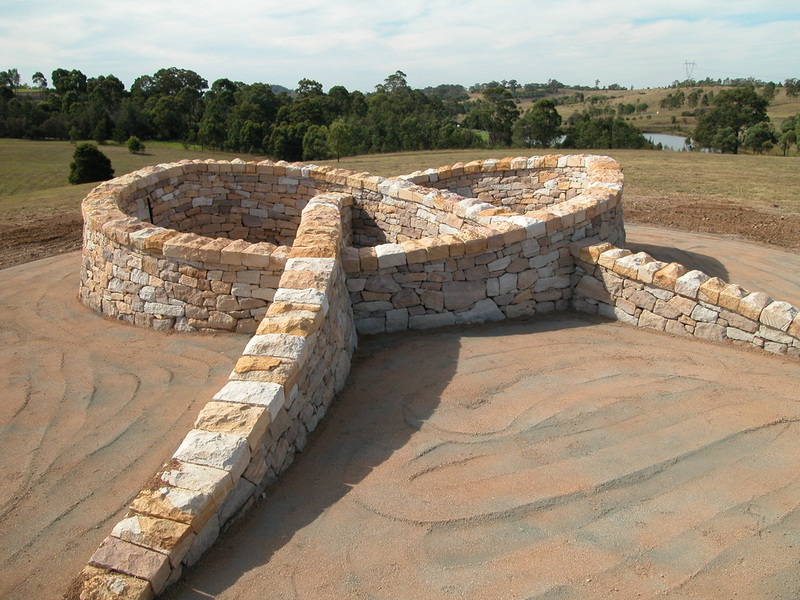 Geoff Duggan’s ‘Wedding Knot’ is the focal point for the Wedding Tree Avenue at Mount Annan Botanic Garden, New South Wales. It entwines and loops over and under itself, to symbolise lasting relationships. Each stone represents a memory or emotion, supporting and bonding with each other in a bid to create permanence. 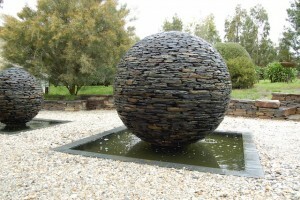 David Long’s prize-winning entry at the Lorne Sculpture Exhibition (2007) is now located on private property outside Melbourne. 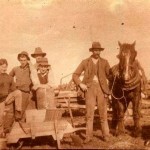 The work is centred around present times. 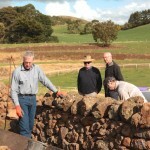 On the outside of the basalt circular dry stone wall there are apertures looking in on a possible future environmental outcome – this links the serious current environmental issues of climate change. 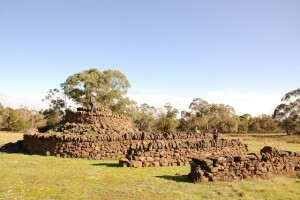 Initiated by Regional Arts Victoria in partnership with Lake Condah Sustainability Development Project as part of a statewide initiative called ‘Fresh and Salty, artists Carmel Wallace and Vicki Couzens designed a sculpture with artistic references to the traditional use of water by Indigenous and European people. 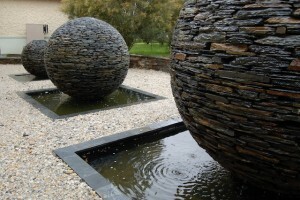 Alistair Tune’s ‘Tri Spheres’ and the retaining walls surrounding them were built using Castlemaine slate (approx. 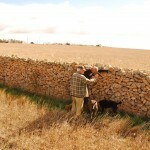 18 cubic metres in total). Sited in a private garden in Camperdown, Victoria, the spheres range in size from 1 to 2 metres in diameter and were built based on a technique called corbelling, where each and every stone is chipped and shaped to form the sphere.